Flip a coin. 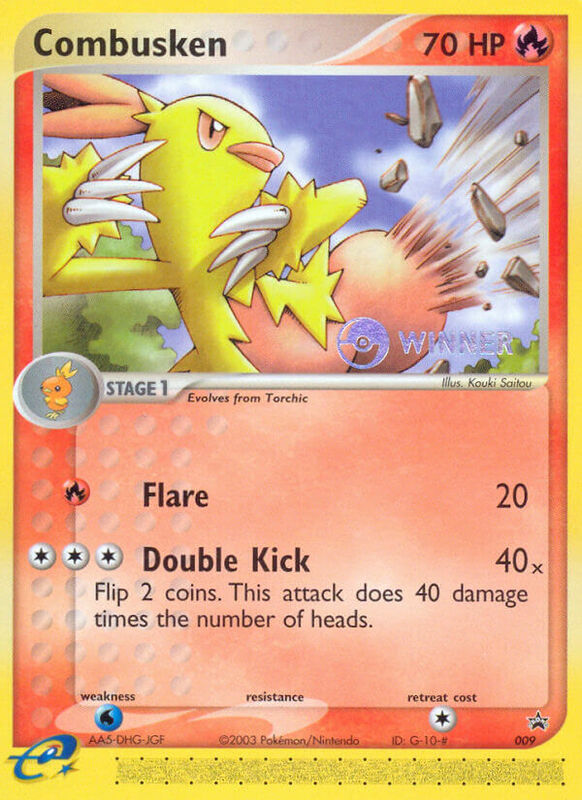 If heads, remove 2 damage counters from each Active Pokémon (remove 1 damage counter if a Pokémon has only 1). 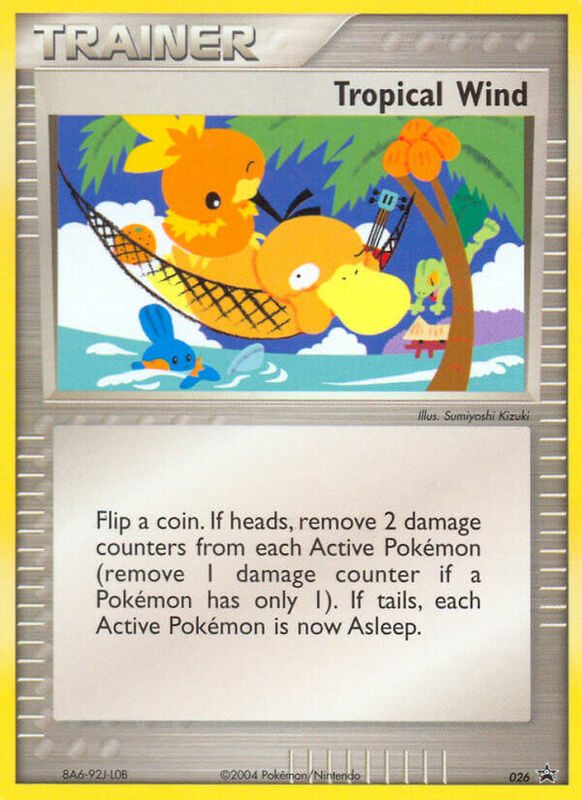 If tails, each Active Pokémon is now Asleep. 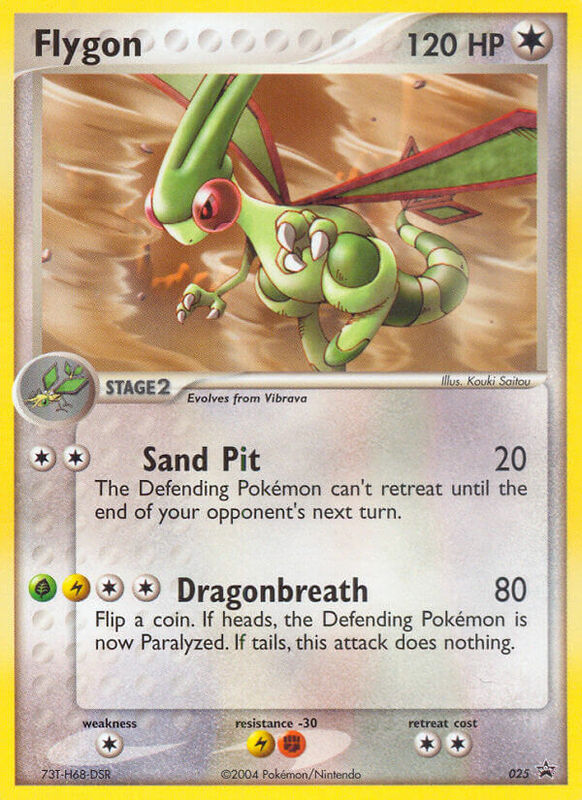 The Defending Pokémon can’t retreat until the end of your opponent’s next turn. Flip a coin. 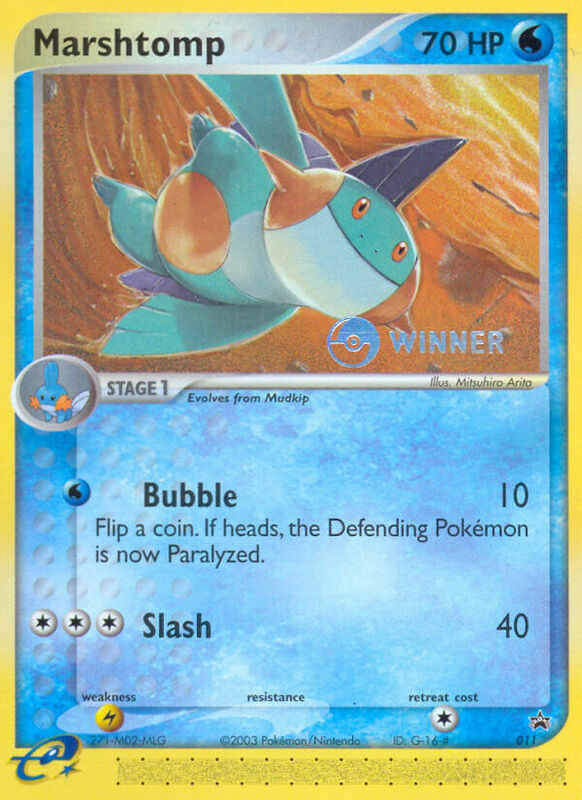 If heads, the Defending Pokémon is now Paralyzed. If tails, this attack does nothing. 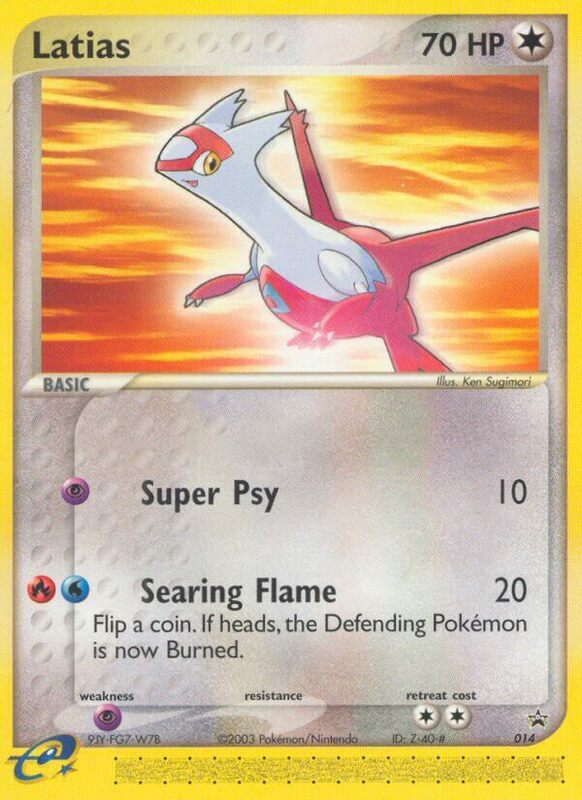 Your opponent switches each Defending Pokémon with his or her Benched Pokémon. 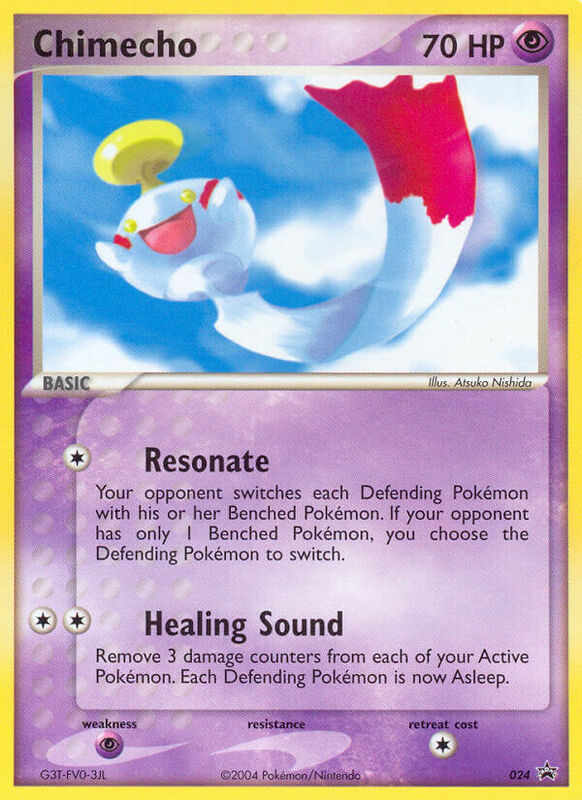 If your opponent has only 1 Benched Pokémon, you choose the Defending Pokémon to switch. 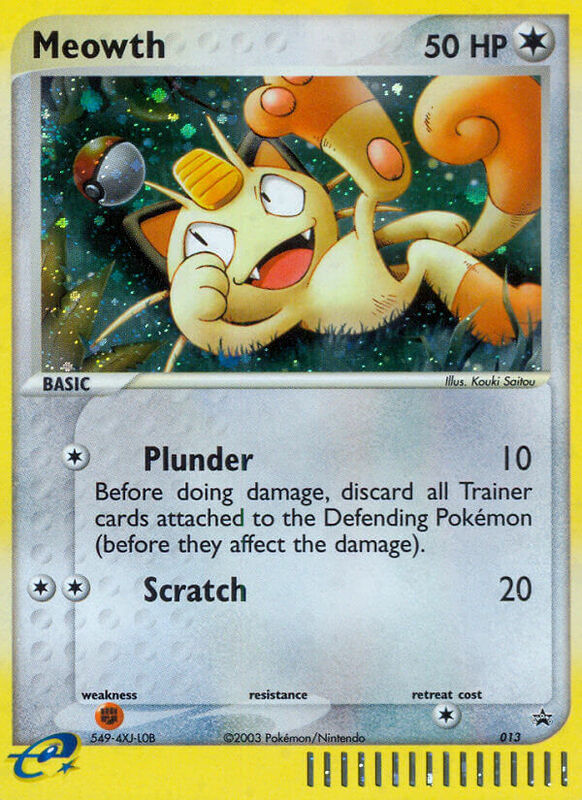 Remove 3 damage counters from each of your Active Pokémon. 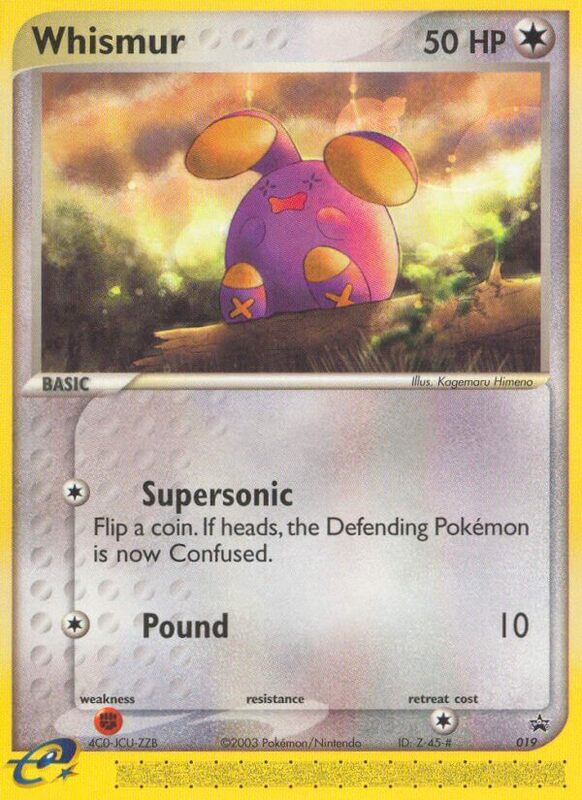 Each Defending Pokémon is now Asleep. 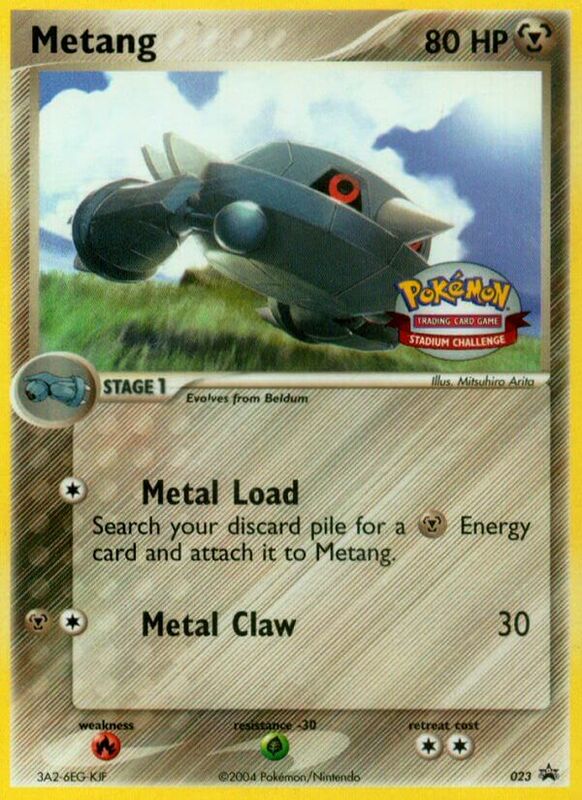 Search your discard pile for a [M] Energy card and attach it to Metang. 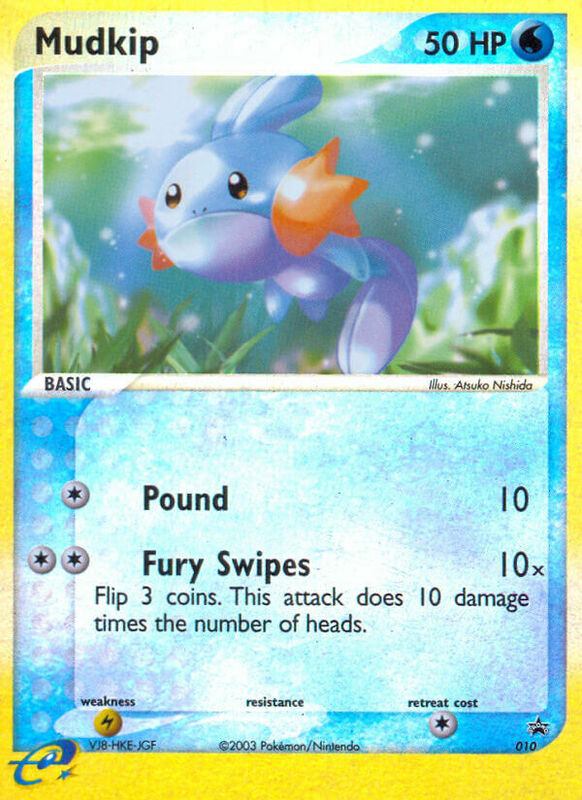 Once during your turn (before your attack), you may flip a coin. 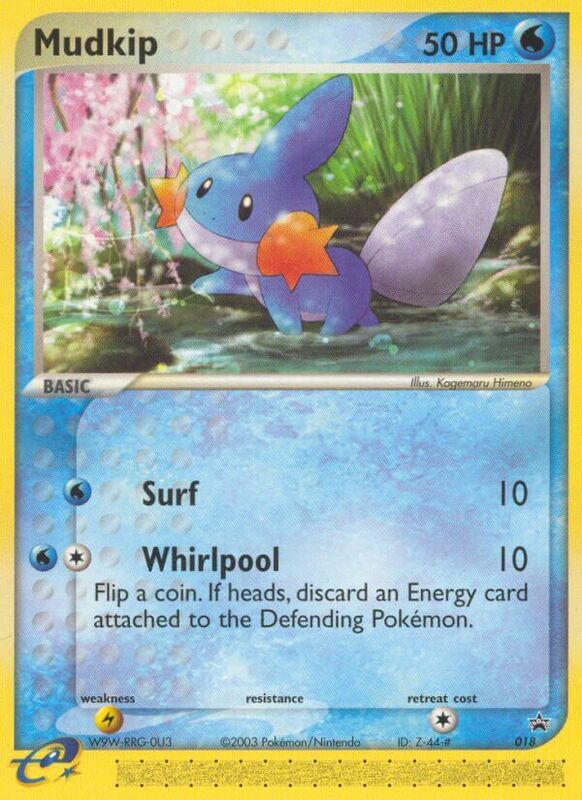 If heads, search your deck for a [M] Basic Pokémon and put it onto your Bench. Shuffle your deck afterward. 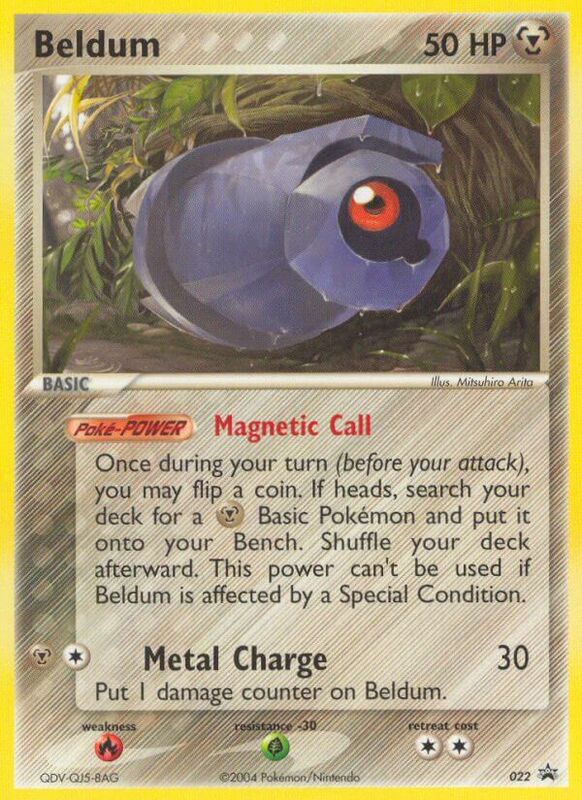 This power can’t be used if Beldum is affected by a Special Condition. 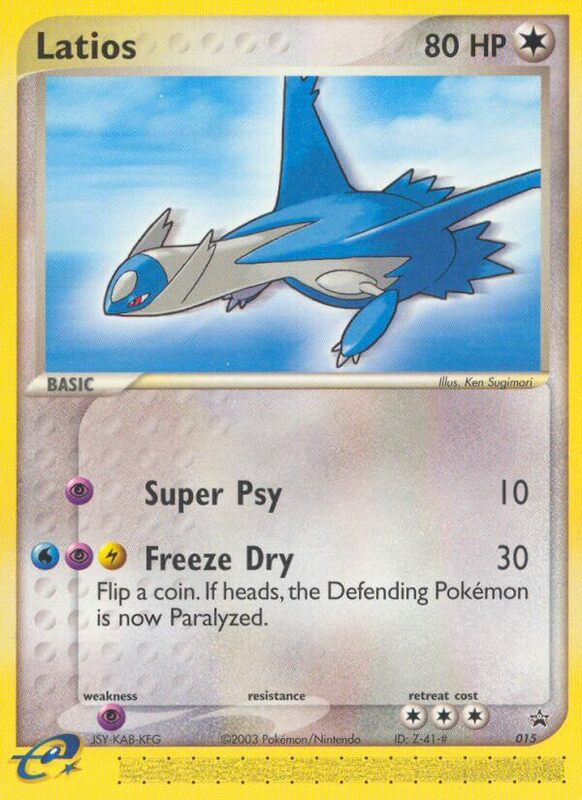 Put 1 damage counter on Beldum. 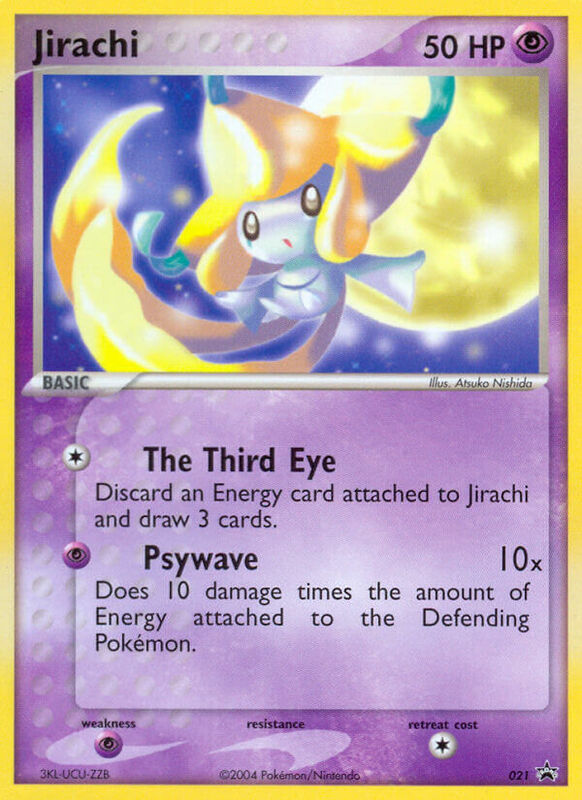 Discard an Energy card attached to Jirachi and draw 3 cards. 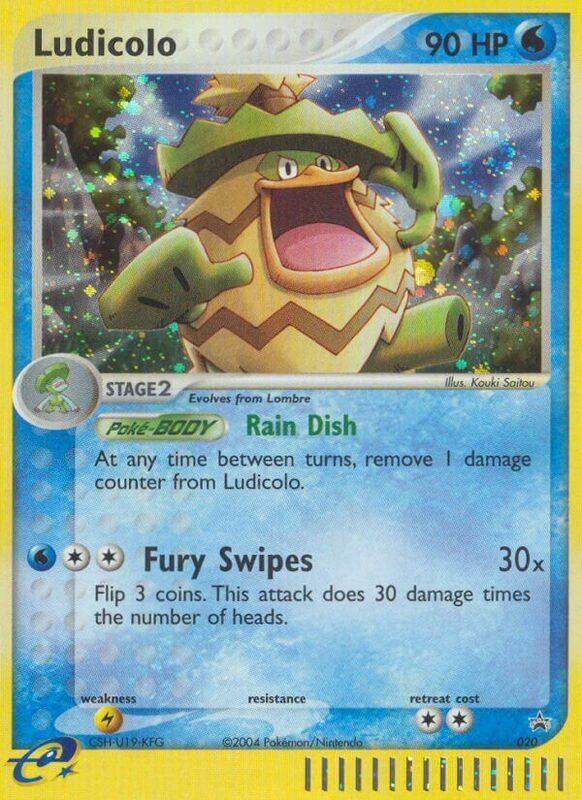 At any time between turns, remove 1 damage counter from Ludicolo. 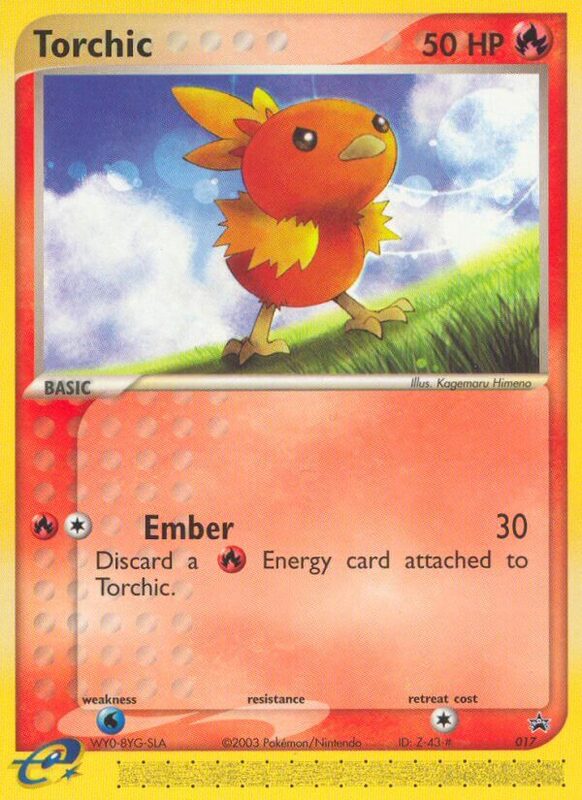 Discard a [R] Energy card attached to Torchic. Flip a coin. 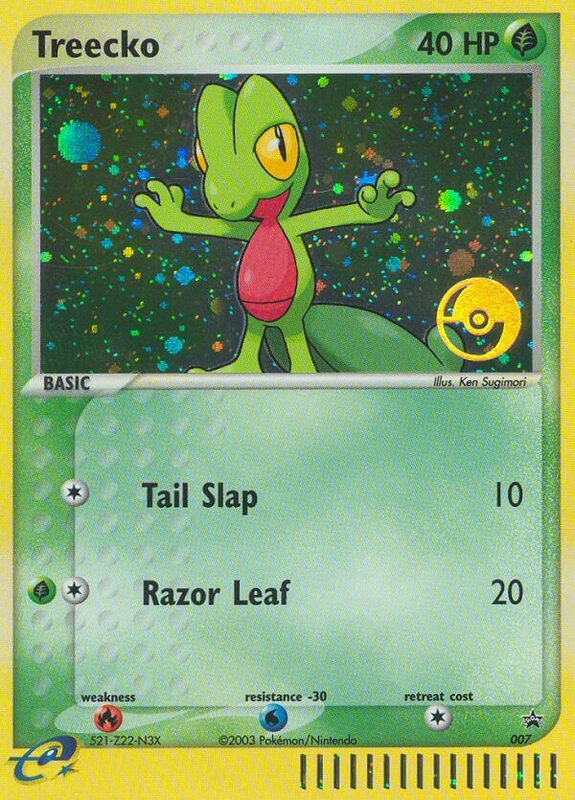 If heads, remove 1 damage counter from Treecko. 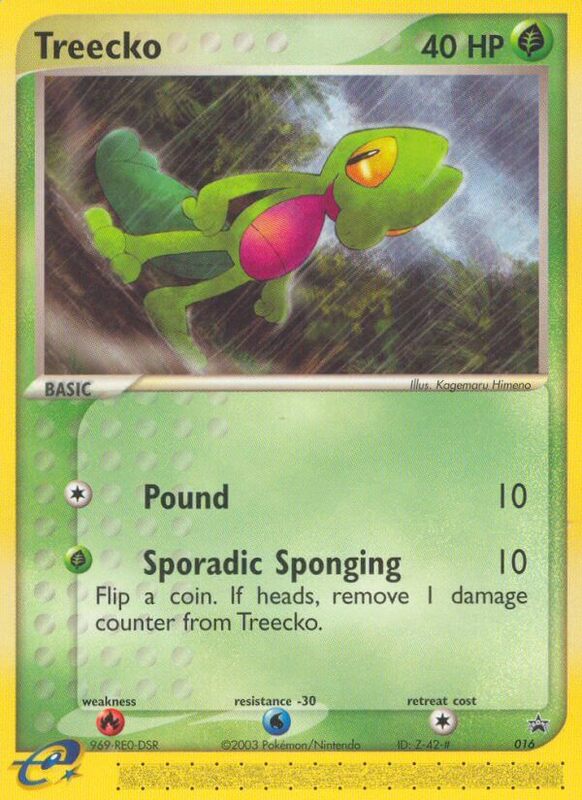 Before doing damage, discard all Trainer cards attached to the Defending Pokémon (before they affect the damage.). Flip a coin. 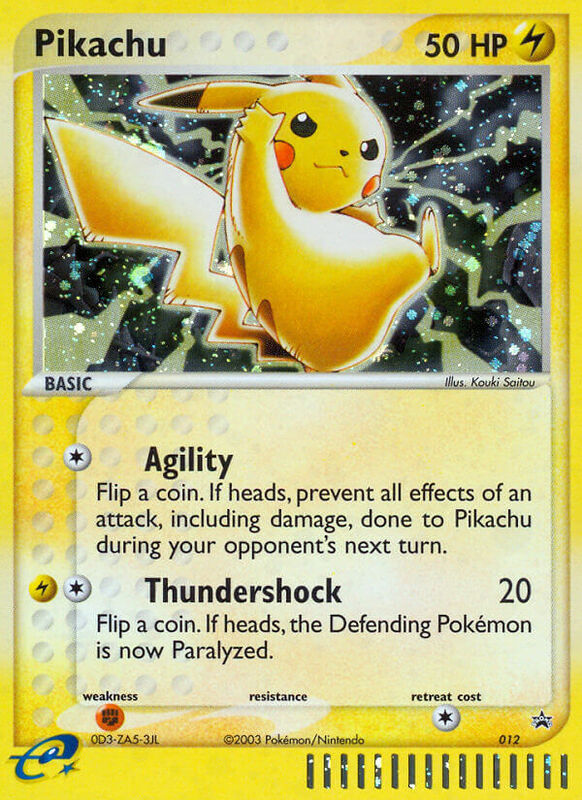 If heads, prevent all effects of an attack, including damage, done to Pikachu during your opponent’s next turn. Flip a coin. 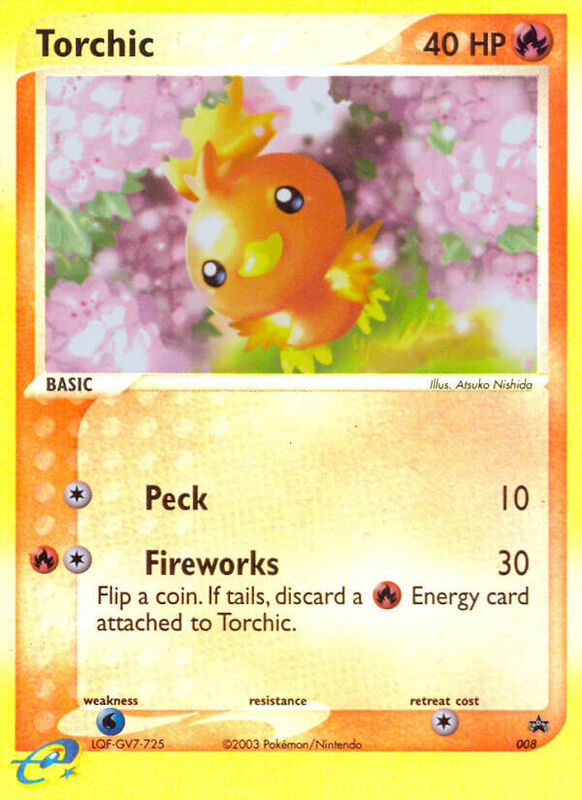 If tails, discard a [R] Energy card attached to Torchic.